Monday September 24th @ The W Hotel in Austin, TX. NO COVER! 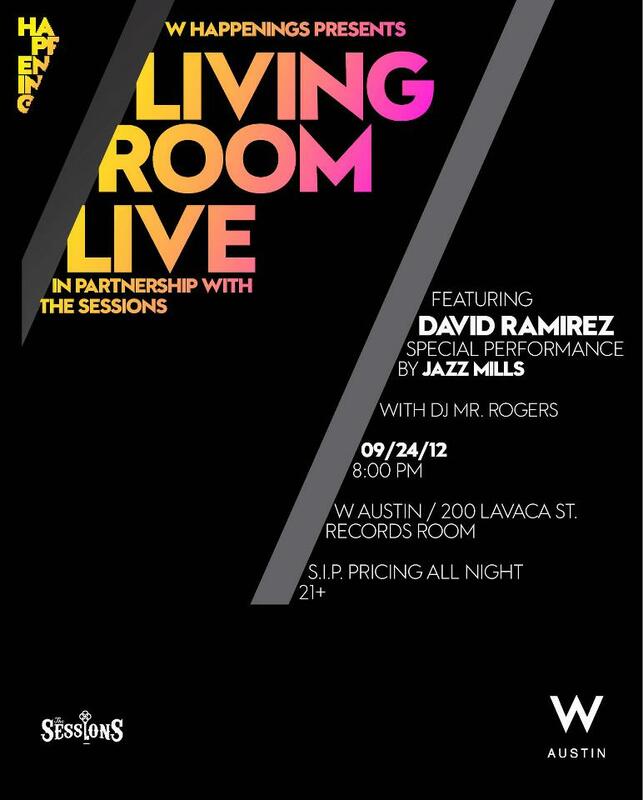 The September installment of Living Room Live presented by The Sessions is going to be a stellar one. I will kick things off at 8pm. Then JAZZ MILLS and DAVID RAMIREZ will take the stage. I am beyond excited about this show. These are two of the best musicians in Austin right now. Yes, they got my name wrong on the poster. Close enough I guess 😉 See you in the Record Room. This entry was posted in Shows and tagged Austin, David Ramirez, Hotel, Jazz Mills, Living Room Live, Mixer, Music, Rogers, Sessions, Texas, TX, W. Bookmark the permalink.